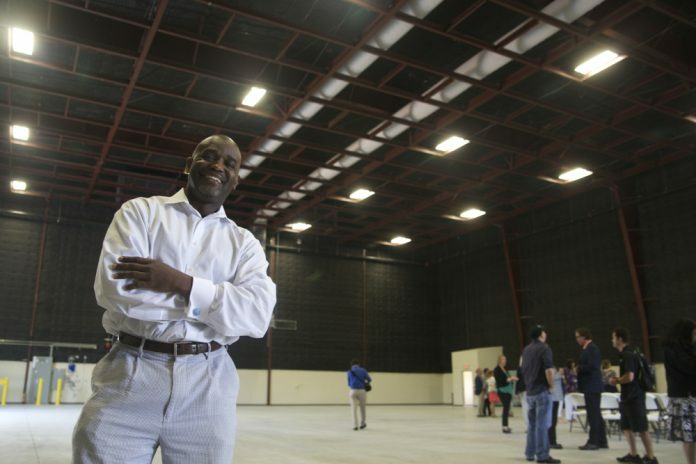 Georgia Film Academy student Teddy Dicks stands inside the new soundstage in Fayetteville. If the scenes from the new Captain America: Civil War look familiar, that’s because they are. Porsche lent its North American headquarters in Hapeville to the Avengers. The British pub is actually Buckhead bar Fado. And the sequence taking place in a third-world market? Well, that’s actually the Gulch. Marvel’s film, set to be released on May 6, is just the latest blockbuster made in Georgia. The state first offered film and TV producers one of the country’s most generous tax incentives—a credit of up to 30 percent, with no dollar cap—eight years ago. So far, it’s been wildly successful, drawing productions away from competing states like Florida, Louisiana, and North Carolina, and pumping billions into the state’s economy. The Peach State now ranks number three in TV and movie productions, just behind California and New York. Since Hollywood first came to the South, though, some have wondered whether the industry would stay for good. From the get-go, Georgia has gone to great lengths to make sure it does. Three years ago Atlanta opened its Office of Film & Entertainment to make permitting easier; earlier this year top state lawmakers stopped conservatives from killing the tax credit; and just a few weeks ago Gov. Nathan Deal vetoed the “religious freedom” bill in part to appease studios that threatened economic boycott. Thanks to those efforts, major studios like Pinewood Atlanta and EUE/Screen Gems have opened, and additional filming hubs are in the works in Doraville, Norcross, and at Fort McPherson. Yet for all the industry’s growth—already responsible for 79,000 jobs in Georgia—a shortage of qualified local crewmembers has threatened to drive productions to other locations, while preventing state residents from benefiting from the boom. Enter the Georgia Film Academy. Back in January the job-training program backed by Gov. Deal launched in partnership with nearly a dozen public universities and technical colleges across the state. Headed by Jeffrey Stepakoff, a television writer and producer whose credits include The Wonder Years and Dawson’s Creek, the Academy currently enrolls nearly 200 students who are learning to become film and TV professionals. The goal, Stepakoff says, is to help graduates land in-demand jobs like grips, gaffers, and makeup artists. One of his first students, Teddy Dicks, worked as a financial analyst with an Atlanta corporation for 18 years. After being laid off, Dicks decided to switch careers and enrolled at Clayton State University. He’s currently learning how to become a boom operator, holding microphones on sets to record dialogue and other sounds.